PAY IN FULL before the Deadline of two weeks before class starts! 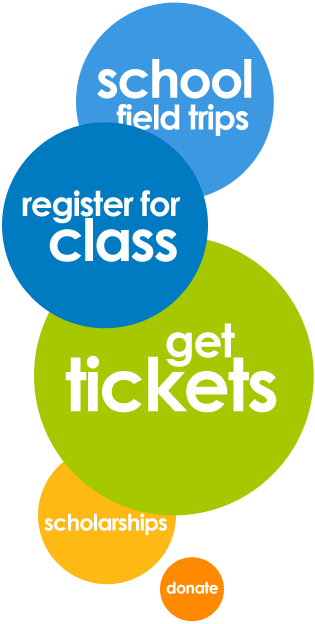 Registration for Spring (April) classes opens soon! 1.) Classes listed with a * have prerequisites. Please read the class description for details before registering. 3.) Remember to list your second choice of class! 4.) There is a $25 drop fee. Pro-rated refunds until after week 2 of class. No refunds after the second week. NO REFUNDS FOR STUDENTS WHO AUDITION. 5.) Students need to achieve benchmarks and attend and participate in class to pass through Foundation Classes and Specialty Classes. Families - there is a mandatory information meeting on the first day of class for your student and an accompanying adult. Meeting is from 4:30 to approx. 5:30 - Students are dismissed to class at about 5....adults remain for a friendly Q&A. This high-energy class introduces children to the fundamentals of theater, using songs, drama games, skits, and theater fun. It is designed to build self-confidence, practice working in a group setting, and stimulate imagination. This age group is not eligible to audition for this session’s production. Become a character from head to toe. Explore the building blocks of acting through creative movement, story enactment, theater games, imagination journeys and more! You'll be able to use your whole body, voice, and facial expressions to portray everything from a swashbuckling pirate to a oompa loompa. 5, 6, 7, 8! It's time to get up and dance! Step up to all the basic techniques that will prepare you to take on any form of dance. Beyond the standard ballet positions you'll learn how to chasse, channe, pirouette, kick, leap, and more. Whether you want to learn Ballet, Jazz, Lyrical, Modern, Tap, Hip Hop, or Ballroom, this class will give you the foundation you’ll need to succeed. Whether you sing in your church choir, along with Rock Band, or just in the shower, singing can be fun! Learn how to put those pipes to use with good technique and style. In this interactive class, students will learn the fundamental concepts and training of the voice learn proper posture and breathing techniques, phrasing and how to stay on pitch. Students will develop the confidence they need to perform solos in showcase through an encouraging learning environment. Calling all techies, nerds, and geniuses! Have you ever wondered what all those buttons do on a sound board? Ever wish you could turn off somebody’s mic? Or wanted to operate lights? Then this class is for you. Come jump in with us to learn the basics of light design and sound board operation in a class that shows you how to run tech, one step at a time, one fader at a time. Create a masterpiece using an actor’s face as a canvas! Grab your makeup kit and brush to produce basic stage makeup as well as specialty features like old age, facial hair and dirty face. Stretch your creative even further when you learn how to make a person look like an animal. Harmonize together! This class breaks down the process of harmonizing with other vocalists. Learn about solfege, blending, parallel harmonies, call-response harmonies....and maybe 3rd to 4th movements and more! Harmony skills are sequential, so participants will progress according to their ability. Directing Workshop (ages 12-18)"Welcome to the Rock"
Basic concepts of directing are learned progressively, combining theory with hands-on exercises. Students will incorporate these staging concepts as they collaborate on blocking their showcase.